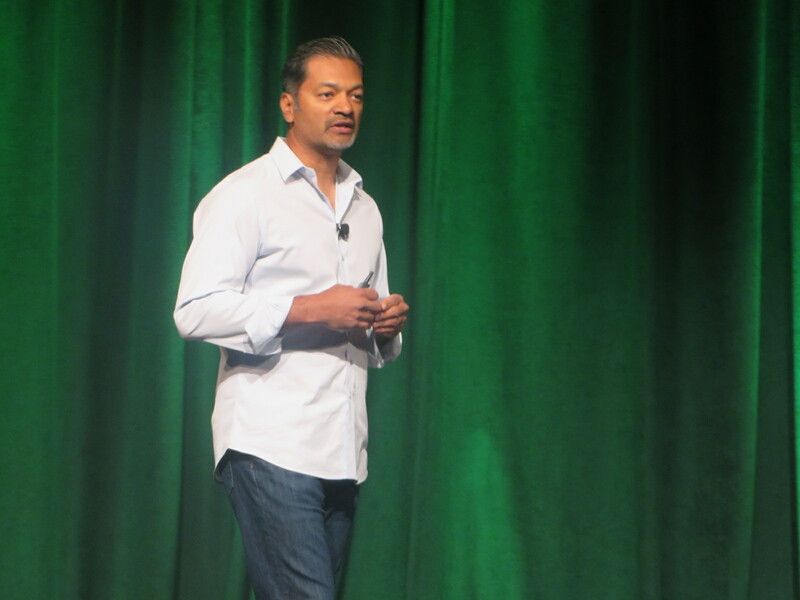 MongoDB reveals product announcements and ambitious plan for growth at MongoDB World. MongoDB highlighted lots of new product features at this week's MongoDB World 2015 event in New York, and it also made a point of sharing lots of code with the many developers among the 2,000 or so attendees at the event. What was more remarkable was just how much time, effort and -- clearly -- money the company is pouring into the development of the business itself. The scope and scale of change was clear during analyst briefings by MongoDB's new top-management team, led by Dev Ittycheria, who joined the company as president & CEO last August. The company has built a state-of-art, integrated sales and marketing machine to help MongoDB evolve from "a compelling alternative into the new default choice," as Ittycheria put it. Connector for BI. This SQL-access option will open up MongoDB data for visualization and analysis within Tableau, Qlik, IBM Cognos, SAP BusinessObjects and other BI products. It's read-only (not read/write) querying through MongoDB's Aggregation Framework feature, so it's strictly for analysis, not SQL-based database development. Dynamic lookups. Another BI-minded feature, this feature will support joins across MongoDB collections, and it's also supported by the MongoDB Aggregation Framework. Encryption for data at rest. Aimed at healthcare, financial services, retail, and government organizations, this feature will encrypt data at rest, with keys secured via the Key Management Interoperability Protocol (KMIP). Document validation. This feature lets you apply rules to verify data types, values, mandatory fields and so on. It's strictly an option, so you don't have to validate data, but you can apply this feature to one or more fields to enforce data quality and consistency. Schema visualization. This graphical interface, code named mongoScout, will give developers and DBAs a view into the structure of documents and entire collections so they can see what fields of data are available and what percentage of documents contain those fields. Customers heard all about these new features during Tuesday's opening keynote by Eliot Horowitz, co-founder and CTO. On Monday, Ittycheria focused mainly on the company itself. Ittycheria came to MongoDB by way of venture capital firm OpenView Partners, but he was previously president of BMC Software and, before that, CEO of BladeLogic, a company that BMC acquired. MongoDB raised a whopping $150 million in venture capital in 2013 and another $80 million early this year. It's Ittycheria's job to make sure that money is put to good use. During the analyst briefings, Ittycheria hires -- including Carlos Delatorre, a BMC veteran who's now chief revenue officer, and Meagen Eisenberg, CMO, recently recruited from fast-growing DocuSign -- detailed MongoDB's sophisticated new sales-and-marketing machine. MongoDB knows it has plenty of fans among developers, between 10 million software downloads and 35,000-plus MongoDB User Group members. The company's paid-customer count stands at about 2,000 firms. Executives admit the biggest competitor is the company's own, unsupported open-source software. Identify and nurture the many MongoDB users and apps sprouting up, grassroots style, within companies. Spot the CIOs, CTOs and other IT managers within these companies and connect the dots among the many proof points of adoption. This naturally opens eyes to the need for support and enterprise-grade management features. Raise the level of the discussion up to the C-level, moving away from features and functions and toward agility, innovation and goals around transforming the business. MongoDB won't displace Oracle or any other relational database if the app is about conventional structured-data apps, Ittycheria acknowledged. MongoDB is going after next-gen apps that are about digital and mobile transformation and driving new business models. In that world, speed-to-market is everything and "slow is the new down," as Ittycheria quipped. When I attended my first MongoDB World (then called MongoDB New York) back in 2012, there were only 900 or so attendees and the crowds was even more heavily skewed to developers. There were more startups and fewer Fortune 500 customers. It's an apt metaphor for a company that moved up in the corporate world. On the technology front, MongoDB put a big emphasis here on its acquired WiredTiger storage engine and new ability to scale - an area where competitors including DataStax (the Cassandra developer and support firm) and Couchbase have been vocal critics. MongoDB is clearly trying to put distance between itself and these competitors, and the pluggable storage engine introduced in MongoDB 3.0 is giving the company and its customers more options to deal with scale. For example, Facebook was here demonstrating the use of its RocksDB and a storage engine teamed with Mongo to handle super-high-scale, low-latency, write-intensive applications. The buzz, the packed sessions and the developer enthusiasm at MongoDB World 2015 were much the same as they were back in 2012. But the top executive ranks have changed, with Ittycheria bringing in new people to drive a scaled-up, more sophisticated approach as a vendor. It's probably too early to say whether the new team has accelerated MongoDB's already strong momentum - though they cited robust pipeline figures -- but it's clear the company is making strides that mature the company, as well as the technology, to meet enterprise-grade demands at scale. Have a question about your big data/analytics strategy? Let's talk! Contact me here.